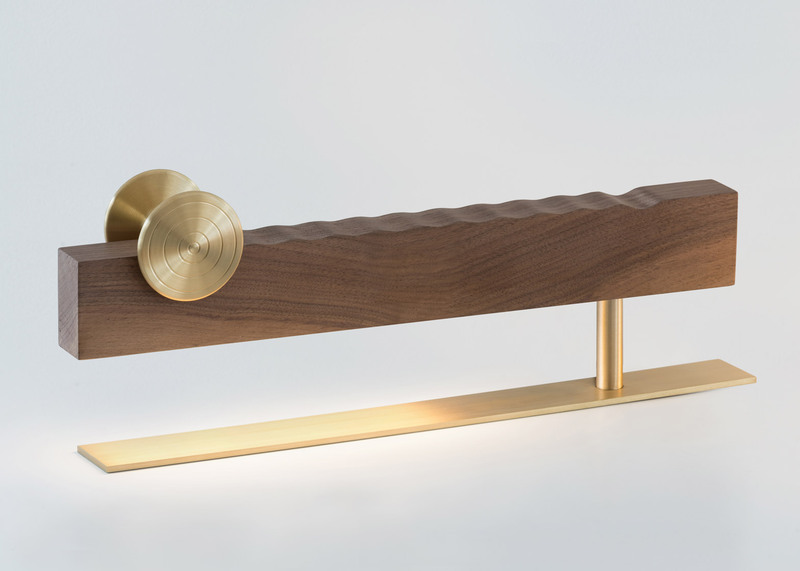 Mexican design studio Esrawe has created a collection of brass and wood lights that are controlled by sliding or pivoting elements (+ slideshow). 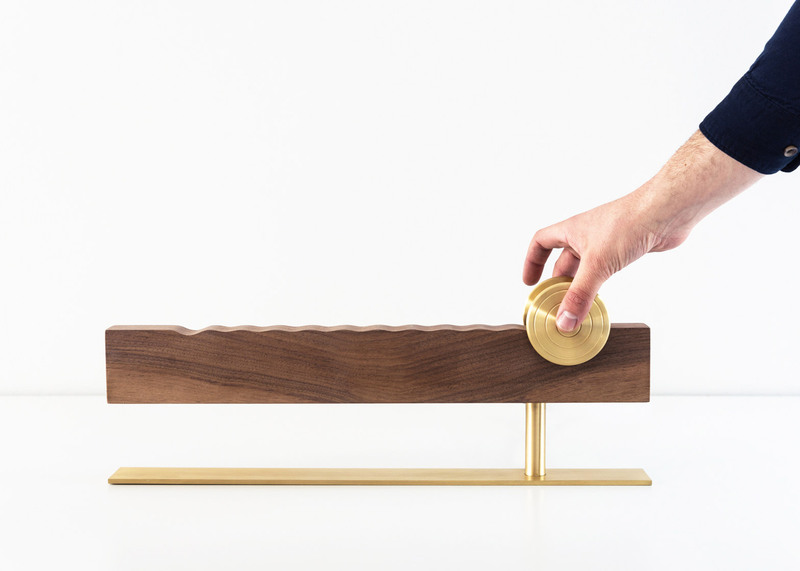 The range is part of the studio's Prima Materia collection – first launched at the Zona Maco Art Fair in Mexico City last month – which also includes side tables, trays and other homeware. 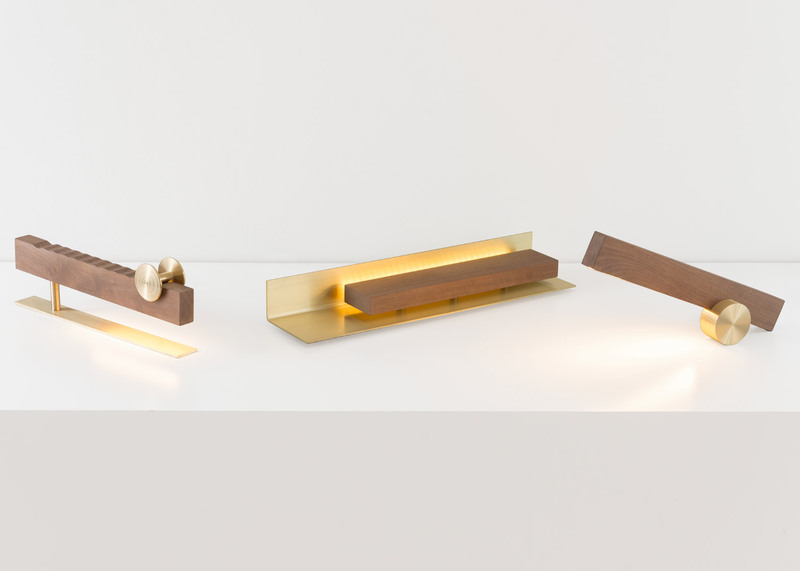 The collection of Vari lights is made from panels of walnut wood and metal elements. 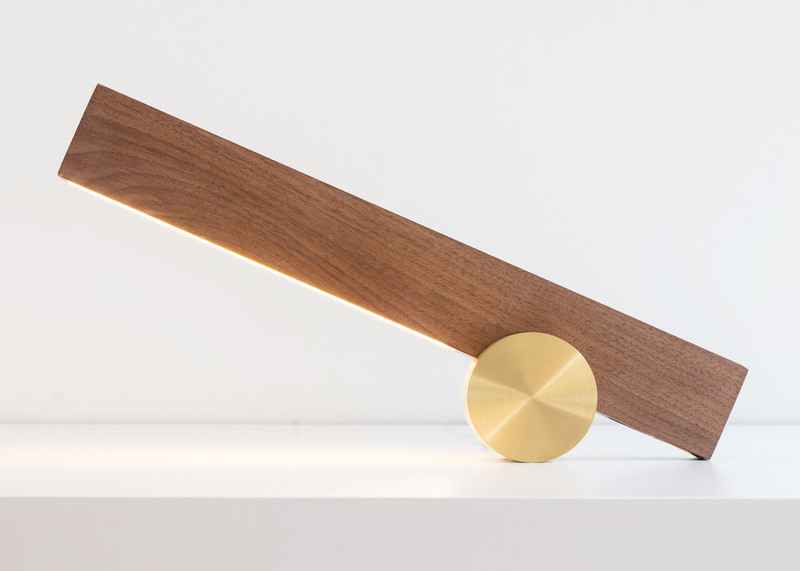 Each lamp relies on a different mechanism to be turned on or off. 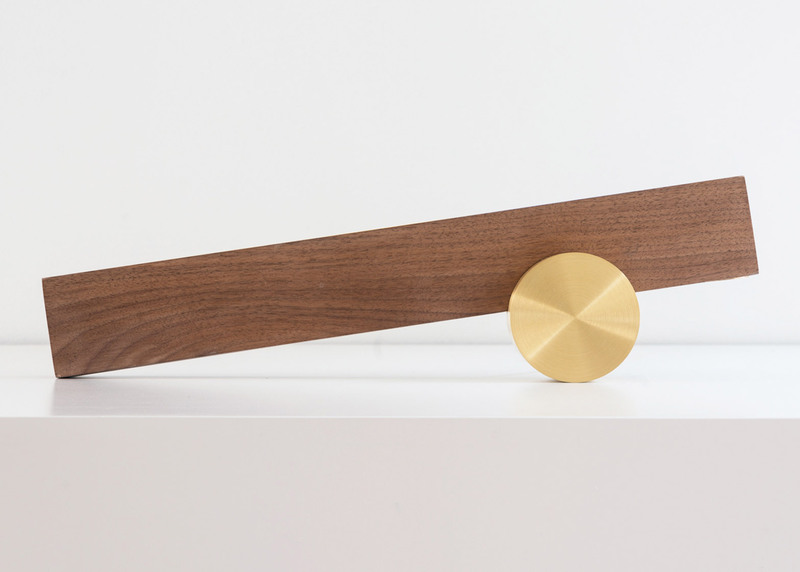 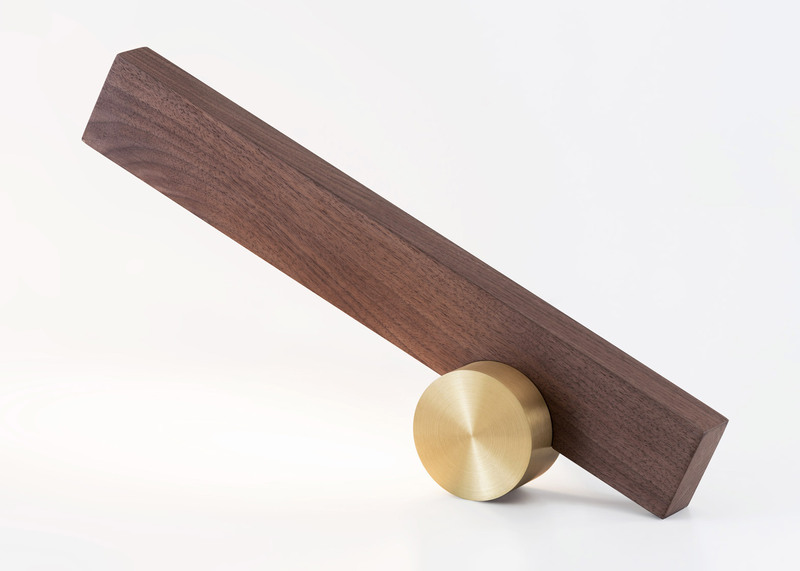 Vari 1 features a perpendicular piece of wood, that rests like the dial of a metronome on a cylindrical bronze base. 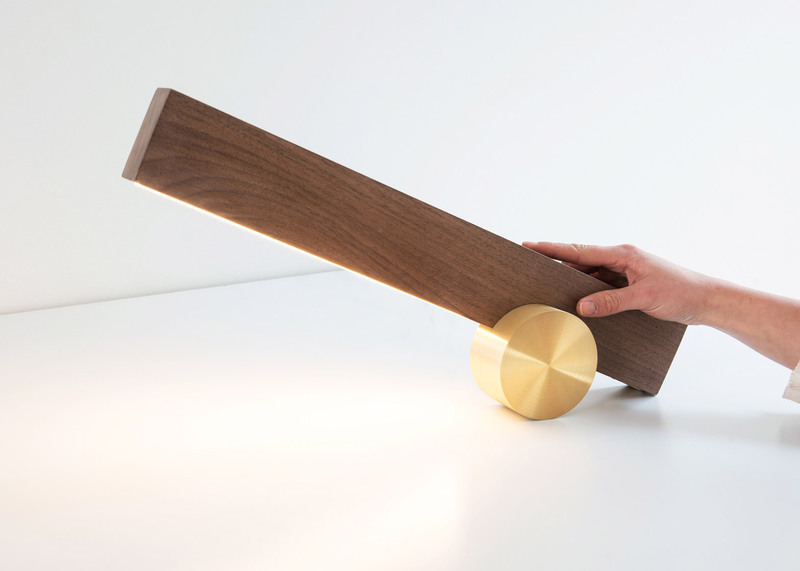 Shifting it back and forth controls the brightness of the lamp. 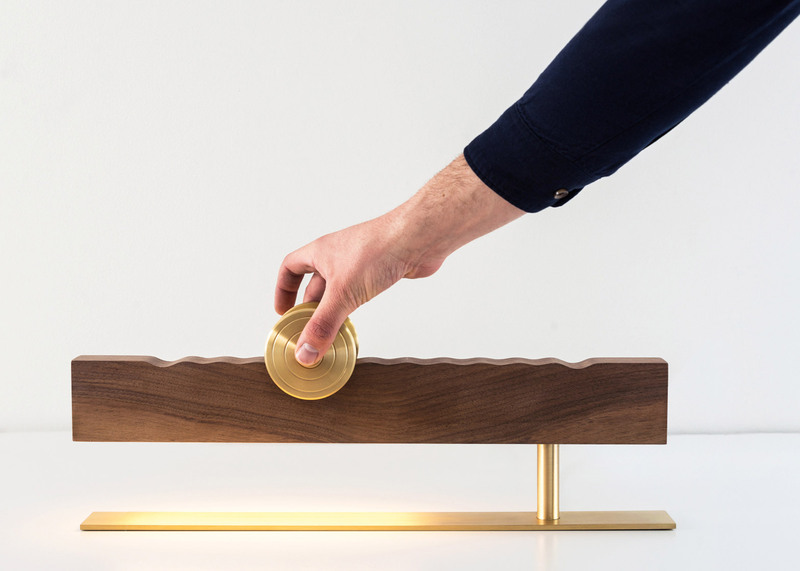 "The commercially acquired bronze cylinder became the visual and structural backbone of the ambient light lamp, which is turned on manually and gradually," said the studio. 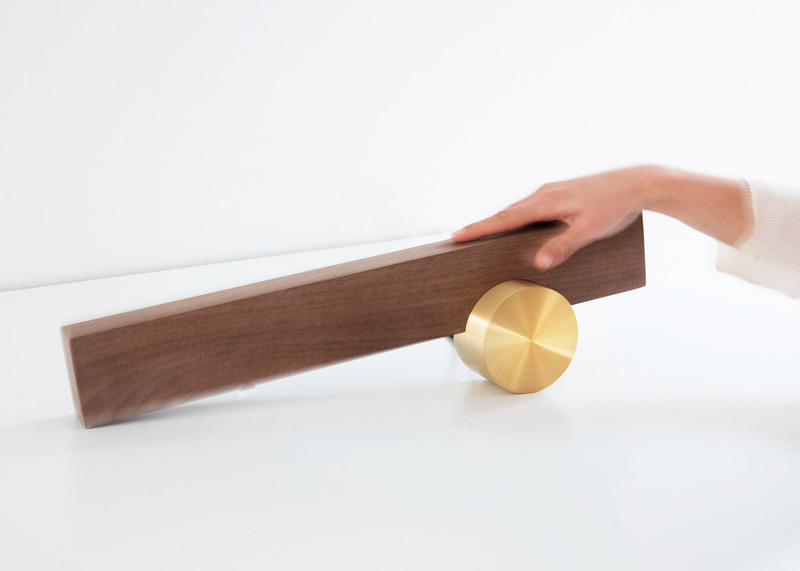 Esrawe Studio previously designed a brass table with individual compartments that could be rearranged to suit the owner. 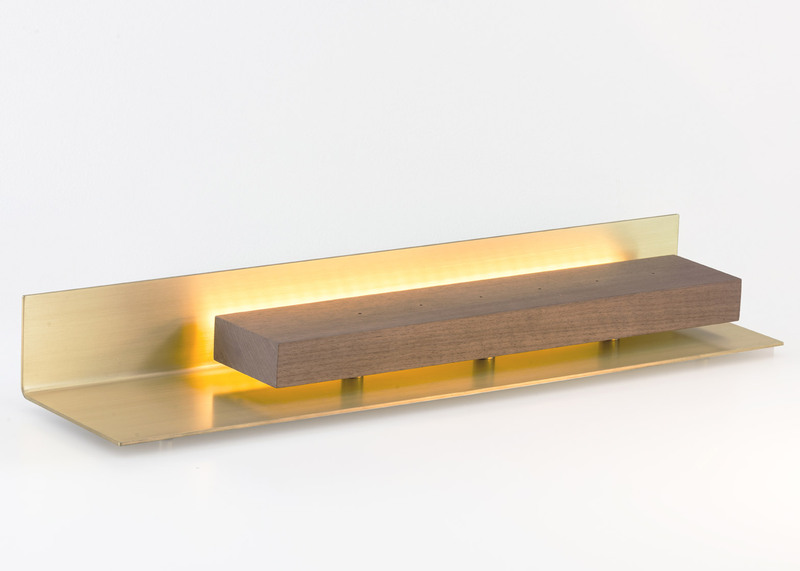 "The piece acts as a big switch that turns 'on and off' the light in an analogical way, which creates a magical border, an homage to light generated with unexpected actions and materials," the studio added. 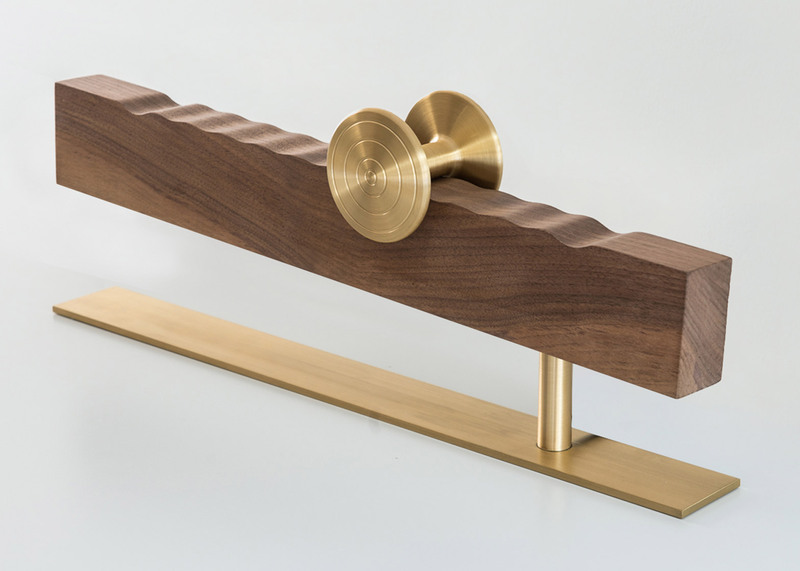 The Vari 2 light has a similar balancing element, and is turned on by adjusting the angle of a piece of wood resting on a brass wheel, while Vari 3 requires the owner to slide a dial along a rippled surface to power the lamp. 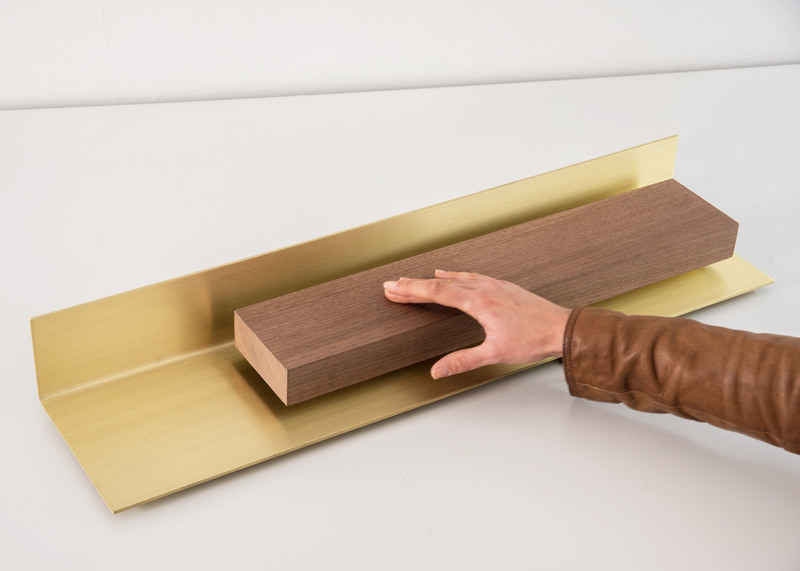 Vari 4 features similar elements to the other lights – with a section of wood appearing to float above a bent panel of brass – and turns on in response to pressure. 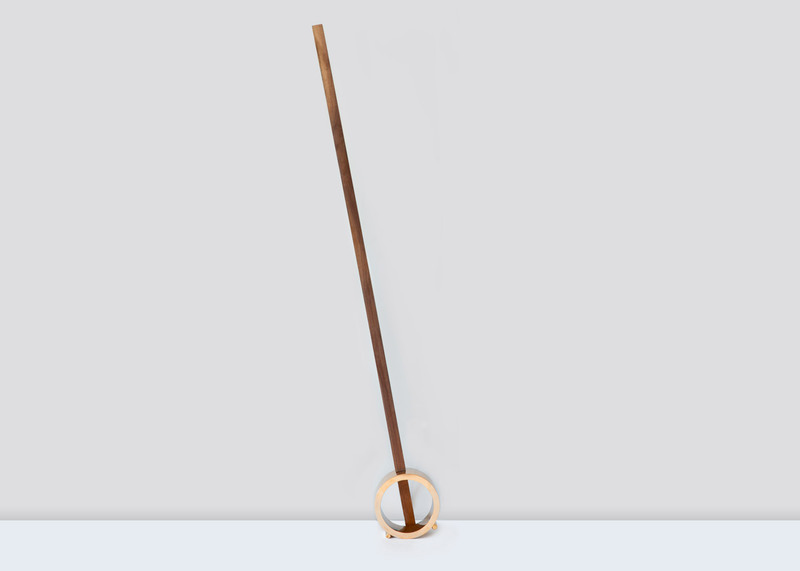 Esrawe Studio was set up by industrial designer Héctor Esrawe to develop furniture and interiors for bars, restaurants, hotels, offices, houses and commercial spaces. 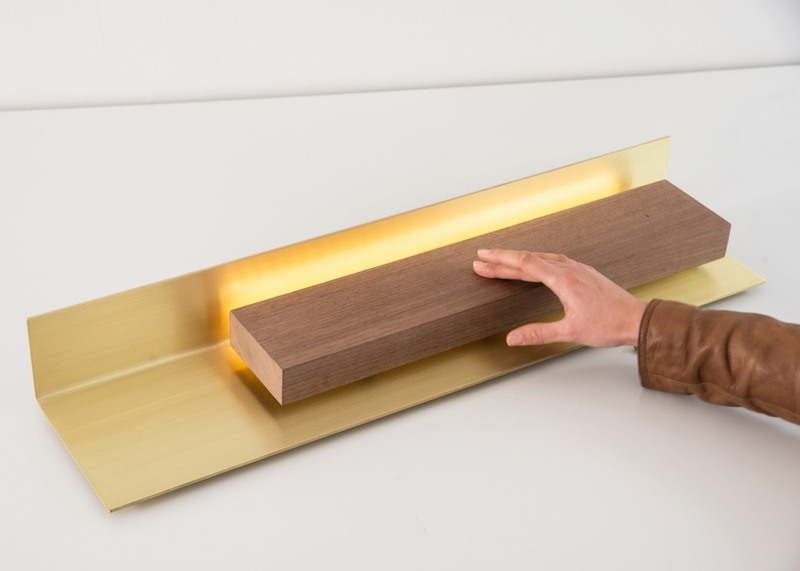 Berlin studio Yuue Design incorporated similar sliding elements into its Balancer lamp, which could be pivoted to adjust the light source.